Obsessed with all things handmade these days? So am I. So when I recently received a copy of Emma Arendoski’s “The Handcrafted Wedding,” I was excited to take a peek inside. The book is chock-full of beautifully illustrated ideas, tips and DIY steps to create your own handmade wedding. “The Handcrafted Wedding” puts a unique, handmade spin on all the essential wedding planning highpoints, including choosing a wedding theme, creating handmade save the dates and wedding invites, selecting the bride and groom’s wedding attire, choosing the wedding party’s attire and gifts, ceremony and reception ideas, guest book inspiration, unique food and drink plans, and handmade wedding favors for guests. The book also includes step-by-step instructions and photos depicting several, easy-to-replicate DIY wedding projects, such as making a floral bridal headband, fashioning a garden boutonniere, creating a handmade ring bearer pillow, making handcrafted place cards and wedding favors, creating monogram décor pieces, and making your own cake stand. Some of my favorite handmade ideas for grooms and groomsmen mentioned in Arendoski’s book include having wedding guests sign a kayak oar in place of a guest book for outdoors lovers, sewing a secret message to the groom on the back of his tie or inside his suit, hiring a cigar roller to entertain groomsmen and male guests, and setting up a martini bar for the guys to enjoy during the reception. 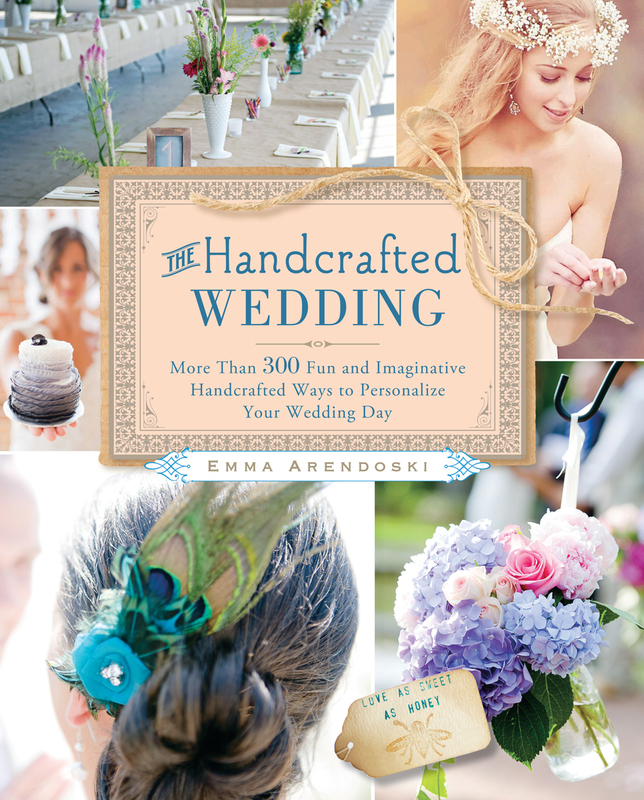 “The Handcrafted Wedding” not only offers more than 300 different handmade wedding ideas, but inspires readers to put their own unique spin on the big day. Take a look at it today to inspire your own personalized handcrafted wedding. Learn more about Emma here. Purchase “The Handcrafted Wedding” here. Do your wedding plans include any DIY or handmade projects? Tell us about it in the comment section below. Today is the day! We’re proud to announce that our first book is now on sale. You can get your copy at most Barnes & Noble stores and online via Amazon, Barnes & Noble & Target. Kindle and Nook versions are also available. Be the Man: The Man Registry® Guide for Grooms is intended to give grooms a play-by-play of the wedding planning months, answer lingering questions and debunk age-old myths. Chances are the bride already has the traditional big book of all things wedding. This book if the groom’s guide to wedding planning and it focuses on only the stuff they need (and want) to know. -Engagement ring shopping – helps grooms research so that they can make the best decision for them, their wallets and their soon-to-be-bride. -Wedding plan of attack and duties for dudes – includes tips for staying within budget and a timeline and checklist for getting things done before the wedding bells ring. -Wedding party and guest list – contains questions to ask yourself before asking groomsmen to partake in your wedding and how to determine who will share the special day with you. -Registering for gifts – provides answers to why grooms should be involved in gift registry and choosing groom-friendly gifts. Groomsmen gifts – outlines popular gift ideas and trends, discusses budget tips and how and when to present the gifts to the wedding party. -Bachelor party – give rules and guidelines to follow that will ensure this is an epic night (or weekend). -Style and attire – everything you need to know to look your best on wedding day and adding some personal flair. -Honeymoon – guides newlyweds through planning a stress-free and luxurious trip together. For media and interview requests, please contact author Chris Easter. You can also connect further via Twitter, Facebook, and Google+. 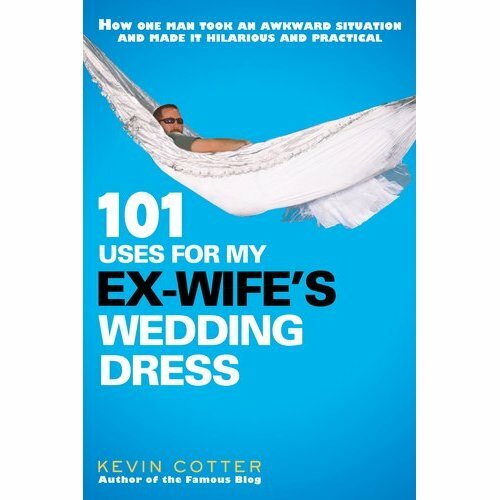 Back in February, we introduced you to Kevin Cotter and his hilariously awesome blog My Ex-Wife’s Wedding Dress. 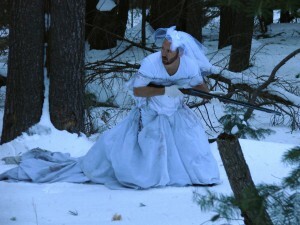 After going through a divorce, Kevin devised a list of 101 cynical creative uses for his ex’s wedding dress that she had left behind (like this, this and this). Since then, his story has gone national and even landed him a book deal. Today, we’re hooking up two of our readers with copies of said book. To enter, just leave a comment below with what your creative use for the dress would be. Kevin’s story begins (as most marriages do) in happier times. That happiness lasted until July 5th, 2009, when his wife of 12 years announced she was leaving. From the book cover – When she left, she had no interest in grabbing her wedding dress on the way out. “What am I going to do with it?” he asked. “Whatever the f**k you want,” she replied. 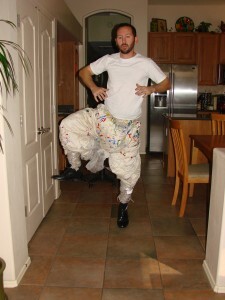 After careful consideration, Kevin did what any newly divorced man would do with his ex-wife’s wedding dress: He made it into a cape, an oven mitt, a shower curtain and then decided to document his experience in a blog. I’ve gotten to know Kevin over the last year, and believe his story to be truly unique. His book adds to the lore of his tale and actually brings his story full circle. If you haven’t visited his blog or seen any of the dress uses, I highly recommend picking up a copy on Amazon. Want a copy of Kevin’s book? Simply leave a comment below with what your use would be for the wedding dress. On Friday (10/28), we’ll randomly select two winners and send them each a copy of the book! 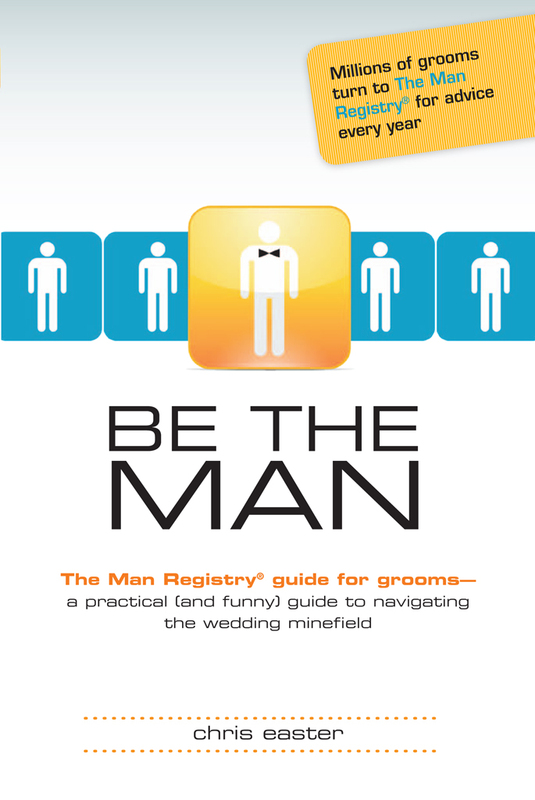 Today we are proud to unveil the cover for our upcoming book: Be the Man: The Man Registry Guide for Grooms. The book is now available for pre-order on Amazon and Barnes & Noble and will be released on December 6th in stores and on e-readers. Stay tuned for more updates and giveaways as the release date approaches! We want your opinion. What do you think of the cover? Like it? Or do you think it’ll end up being used as a dartboard? Let us know your thoughts in the comment section below! 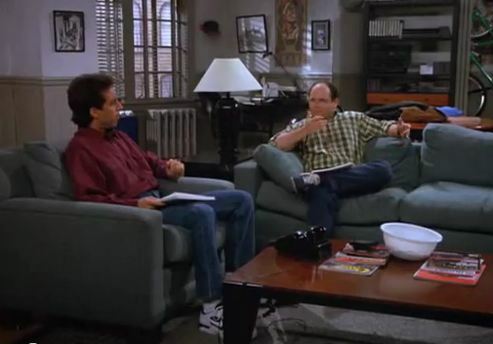 If only I had the help of George Costanza on this project!